Sounds like fro this kind of future combat, the arsenal ship concept really makes alot of sense, and perhaps creating a unmanned “Magazine” ship using commercial shipyards to accompany major Surface Action Groups. Also the floating “lilly pad” concept should be explored further, I mean its currently done with commercial PMCs with anti-piracy operations and combined with unmanned “arsenal” ships it would be a great way to have theater bases of supply to act as alternatives if enemy missiles close down or limit access to fixed naval bases. Finally has the navy looked into the WW2 experience of building forward operating bases on small islands? In a South China Sea contingency being able to rapidly build a base with some Missile defense and Anti-Air cover in the South Phillipines? I agree about the USMC island forces for their own A2AD. Wrote an article called “Distributed Leathernecks” for CIMSEC several months ago… look it up! Many good points and it’s great to see logistics highlighted. Logistics wins wars. 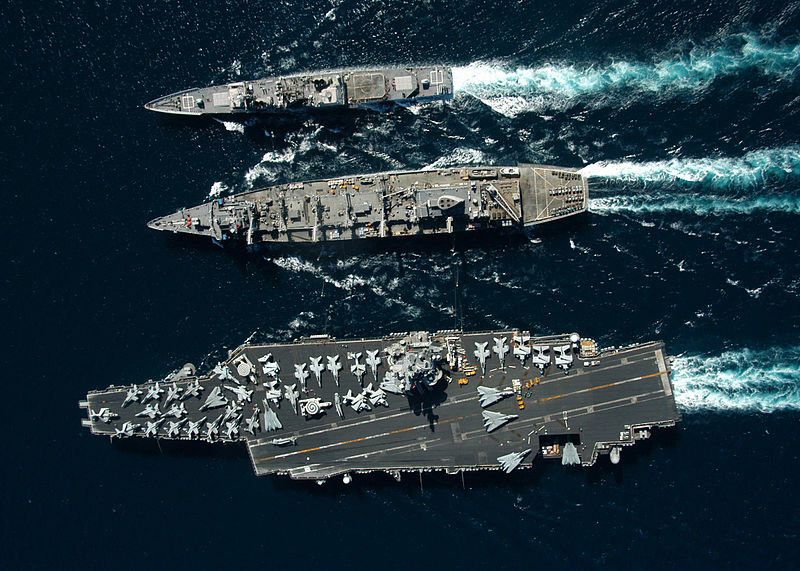 I’m not sure the Navy is ready for automated replenishment, though. I’m a civilian mariner and served on an oiler the past two years. Nearly all of the glitches, near-misses, spills, and mishaps I experienced originated from the customer side. This is to be expected – we performed the replenishment mission multiple times per day, nearly daily; they replenish far less often. 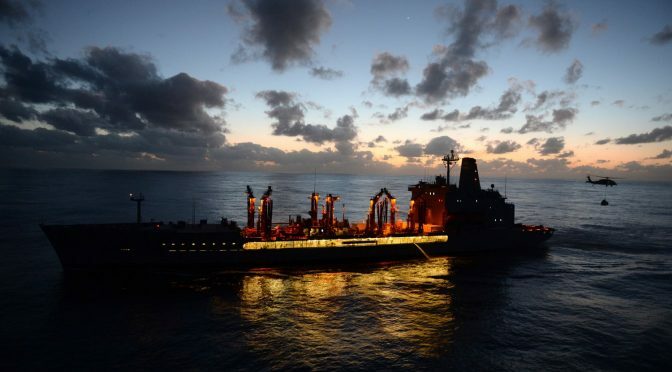 A replenishment, as I’m guessing you know well, is more than simply connecting up and transferring fuel, cargo, or ammunition. People have to load the cargo/fuel/ammo, stow it, prepare it for transfer, etc., – and constantly adjust to the Navy’s last-minute changing needs. Yes, much of this could be automated – but I am not seeing the technology there yet. Cargo for Navy ships may be palleted, but it is hardly containerized. One place that we could streamline personnel is through automation of the steward’s department: machines to cook food and clean the ship. It seems that’s where technology is closest right now to taking humans out of the loop. Personally, I’d like to see the Navy invest more in “self-replenishing” ships, using the technologies you mention (and nuclear propulsion), and even recycling the waste stream in situ to provide raw materials to onsite 3D printing/manufacturing. This is truly the only reliable way to keep logistics on the front line in a fight. It’s tough to compare commercial ships to civilian Navy ships, because the former has typically one mission (carry cargo from point A to point B, using a safe, simple, and pre-defined commercial route at a set speed), whereas the latter has many – and they constantly change in order to provide the most agile, forward support to the fighting force. 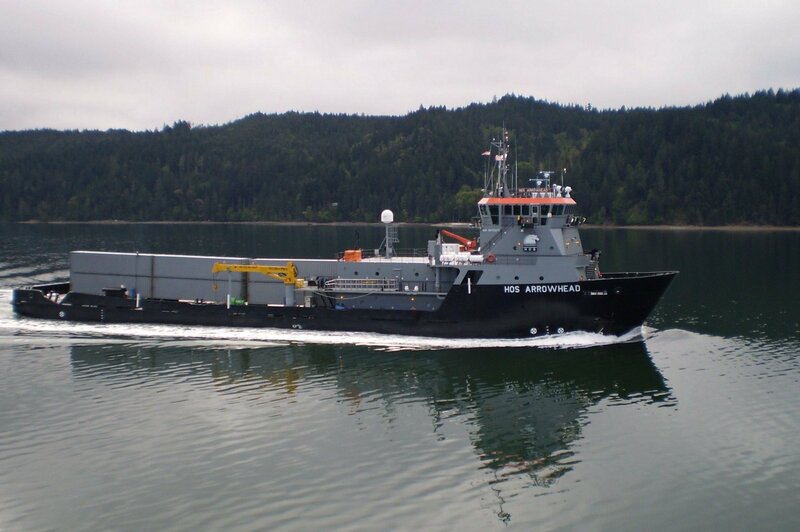 And – thoughts on the new USNS John Lewis class of oilers?